Note: This page contains Cyrillic characters for things like names, some of which may be important for drawing this character. If your browser cannot view these characters, contact me. Dark brown, similar to dark fur accents. Straight, but fluffy, and as long as her waist, with neck-length bangs. Typically worn loose, except when on-duty, when she wears it in a loose, high ponytail. Often a nudist, due to her long fur (no visible "bits"). When she does wear clothes, it's minimal, usually involving a sports bra or bikini top and short-shorts or swimsuit bottoms. Always wears a simple silver necklace and matching solid bracelets on both wrists, except when on-duty or working on cars. Short denim shorts, bright yellow or orange Search & Rescue vest (see below for details). !! IMPORTANT: No EMS, Fire, or other American insignia on vest, only the words/insignia indicated below. Similar design to this (http://cdn.fur.vc/awi/misc/svetlana-vest.jpg), but without the Star of Life insignia. Coloured bright orange, with white reflective striping. Equipped with miscellaneous tools such as flashlight and GPS, whatever seems to suit a Search & Rescue dog, as well as a police-style radio. Right side: Russian MCHS emblem (ref: http://cdn.fur.vc/awi/misc/mchs-logo.png). Back: Large Russian characters: МЧС. Alternate Version: For artists who are particularly uncomfortable with the detailed markings described above, an alternate/Americanized version is acceptable, if not ideal. 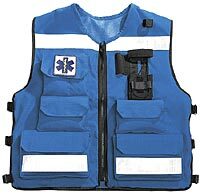 For the alternate version, the vest should be bright yellow with white reflective striping, and be marked only with a red cross on the front-right patch and back. Svetlana Solovyov (Светлана Соловьёв) is a female rough collie in her mid-20s. She has a strong, dominant personality, but with a fairly playful and friendly demeanor, making her a very outgoing person. With a strong tomboyish streak, she enjoys outdoor activities like hiking, camping, and rock climbing, as well as working on her truck and riding motorcycles. Professionally, she's a search & rescue dog, specializing in scent tracking and navigation. Her work often takes her to the mountains, but she occasionally has to travel to other locations, especially cold tundra climates, where her thick fur gives her a natural advantage. Since she's so well-suited for cold weather, she spends most of her time in Russia or her mother's native England, but she takes a vacation to the US every winter to escape the more extreme temperatures of her home. She has a tall, athletic build, and stands a bit under 6 feet tall (1.8 metres) on digitgrade legs. Her headfur matches her darker fur accents in colour, and is straight, but very fluffy and full of body. She keeps it as long as possible, nearly reaching her waist, except for her bangs, which she keeps trimmed to almost reach her neck. While she has to tie her hair up in a high ponytail for things like work and to work on her vehicles, it typically flows loosely when she's not doing anything. The thick, fluffy fur common to her species keeps her plenty warm and keeps things "covered", negating the need for clothing most of the time, but she does usually wear basic jewelry whenever possible. When she does wear clothing, it's typically minimal, consisting of only a swimsuit, or a minimal top and short-shorts. While serving her search & rescue duties, she wears her own interpretation of the uniform, consisting of dark shorts, a well-equipped duty vest, and no jewelry. Her vest bears the insignia of her employer (http://private.lupinia.net/svetlana/mchs-logo.png), the Civil Defense Ministry, on a patch on the right side, and a military-style embroidery of her name on the left side (in Russian, of course: СВЕТЛАНА). The back of the vest is marked with the initials МЧС, the abbreviated name of her employer. Most of her gear fits in the pockets of this vest, but certain items such as her flashlight, GPS, and radio are attached in visible places. Occasionally, when in the US, she wears an alternate, more Americanized (OOC: Less foreign to draw) version of her duty vest, in yellow instead of orange, and marked only with the red crosses typically associated with rescue workers.